I’ve been in a beachy kind of mood this week with lots of water themed posts so here is one more image from the same spring day as Bud’s Bait Shop and the “I wish I was on a cruise” Life Ring. Posted as part of Sue’s A Word A Week Challenge: Water. How beautiful, this sky is award winning!!! Thanks, Seonaid. 🙂 I had fun with retro filters during this walk and am happy to hear you like the sky. Once again you have provided me a beautiful view in the middle of my day of something other than two computer monitors, drawings, notes and a Murphy’s Law poster. Thanks!!! I’m happy to provide a new view, Patrick! I just want to sit on that bench and watch things go by! Oh so do I today, Rusha! The water color , clouds and blue sky are beautiful. I just love how the sky appears to be flipped upside down with the clouds sitting on the water. Love how that you can’t see sand in this photo, yet is still feels very beachy. Must be the blue sky and waters. Hope you’re well. 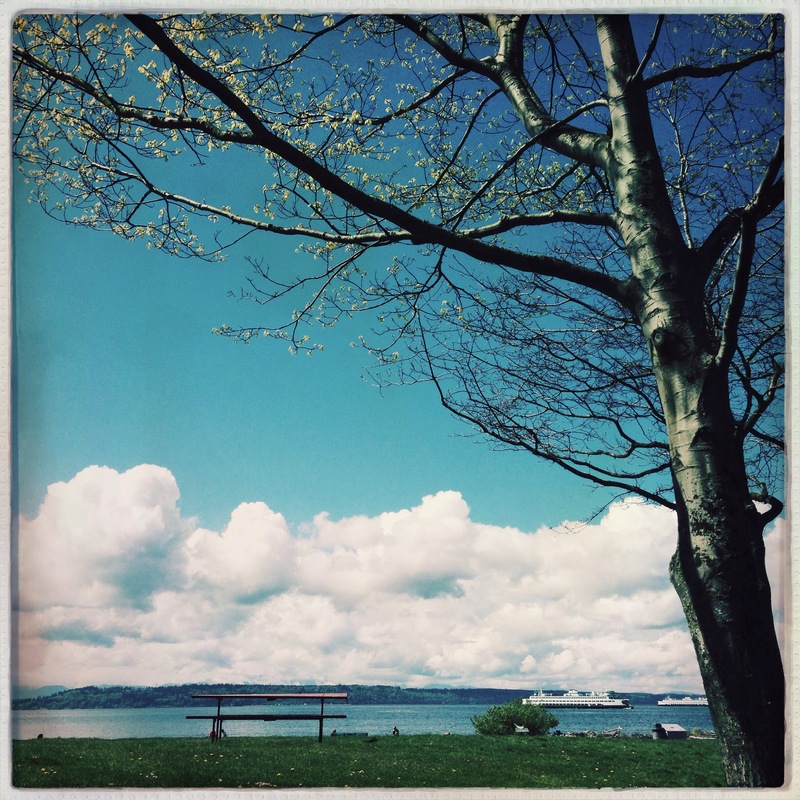 I’m going to take a shot in the dark and guess that you took that picture at Myrtle Edwards Park.